This is not a drill! 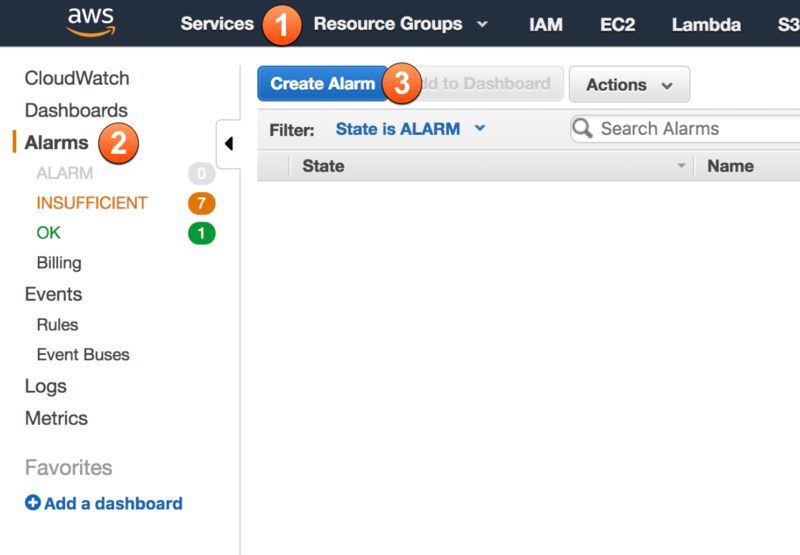 Take a look a at how you can construct a dead man's switch to notify you of changes in your CloudWatch metrics. While writing this article, I'm traveling from Frankfurt to Stuttgart by high-speed train (ICE) with a top speed of 280 km/h. It is reassuring to know that a dead man's switch stops the train immediately if the train driver becomes incapacitated, such as through death, loss of consciousness, or being bodily removed from control. A recurring import job failed. How does publishing a heartbeat to CloudWatch work? Next, to get notified whenever the backup job does not succeed anymore, you only need to create a CloudWatch alarm. 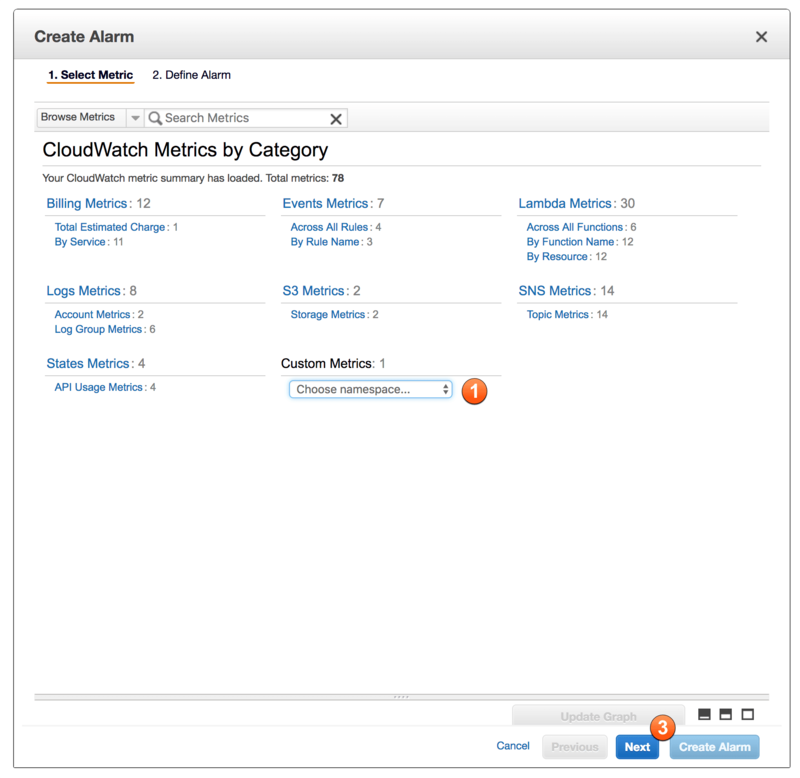 A CloudWatch alarm monitors a metric and triggers actions. For example, you can use a CloudWatch alarm to notify you whenever the CPU utilization of an EC2 instance is above 80% for more than 60 minutes. However, it is also possible to implement a dead man's switch with the help of a CloudWatch alarm as described next. ... for 1 out of 1 data points. Don't forget to press the Create Alarm button. 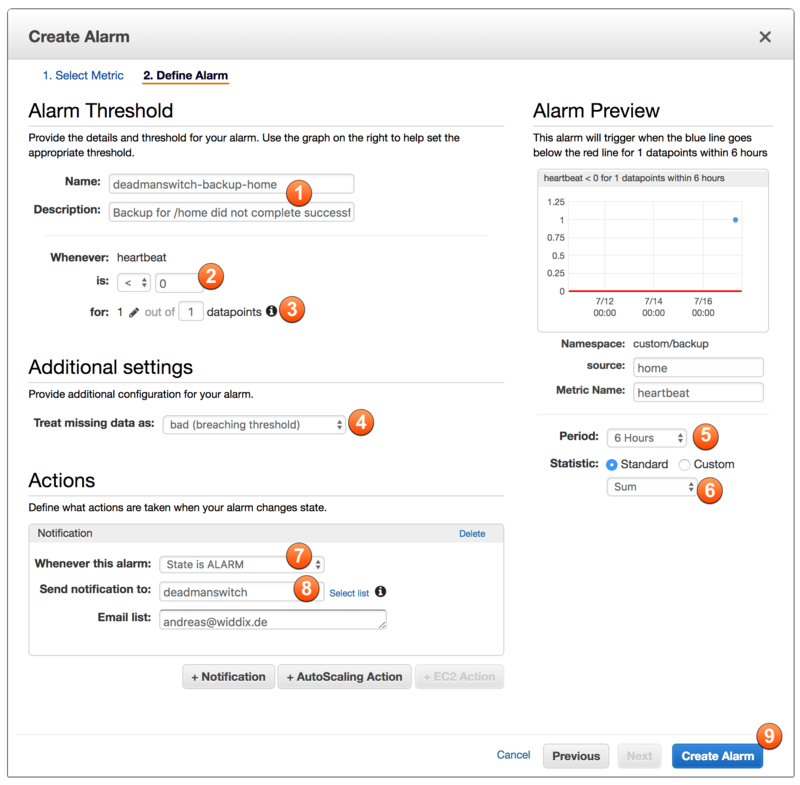 Creating a dead man's switch with the help of CloudWatch allows you to monitor if jobs are working as expected. I've used this approach to monitor an agent responsible for synchronizing data from an on-premises database to DynamoDB, for example.